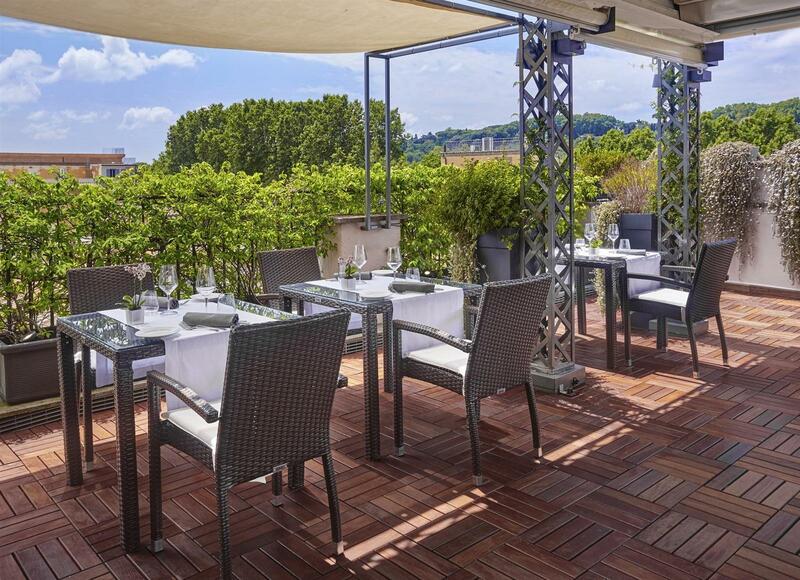 We are open for lunch adn dinner! 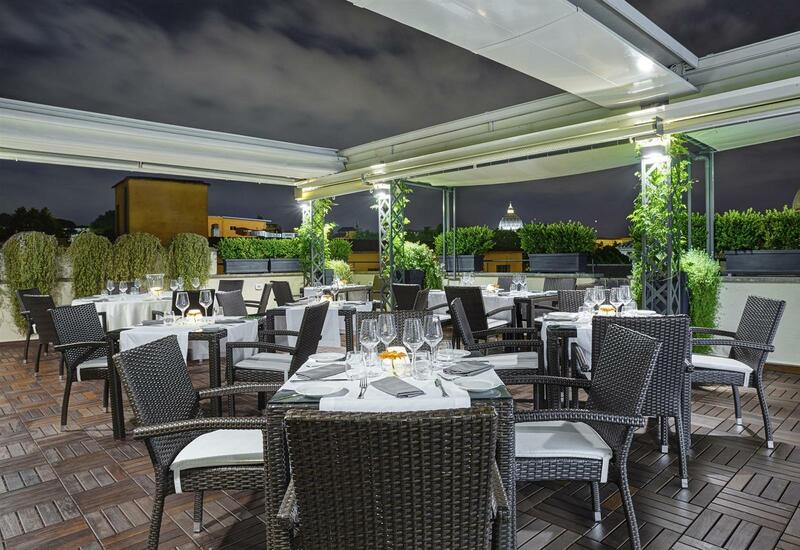 The Roof Terrace Restaurant looks forward to serving you lunch from 12:00pm to 02:30pm and dinner from 7pm to 10.30pm, during the summer season and in case of favorable weather conditions and warm temperatures.Our Chef, Filly Mossucca, will lead you to discover the flavours of the Roman and Mediterranean cuisine. 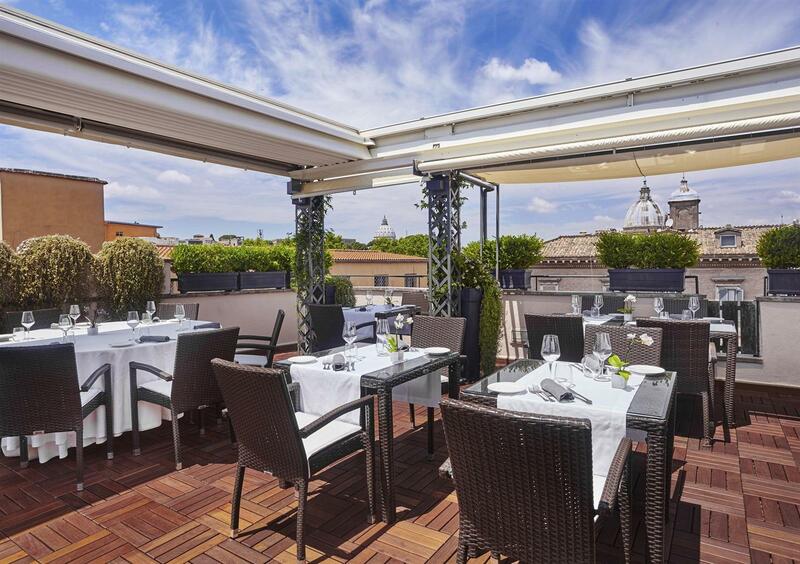 The Roof Terrace Bar is open from 08:00am until 01:00am for a cocktail, an aperitif, a coffee or to simply admire the breathtaking view of the Eternal city. 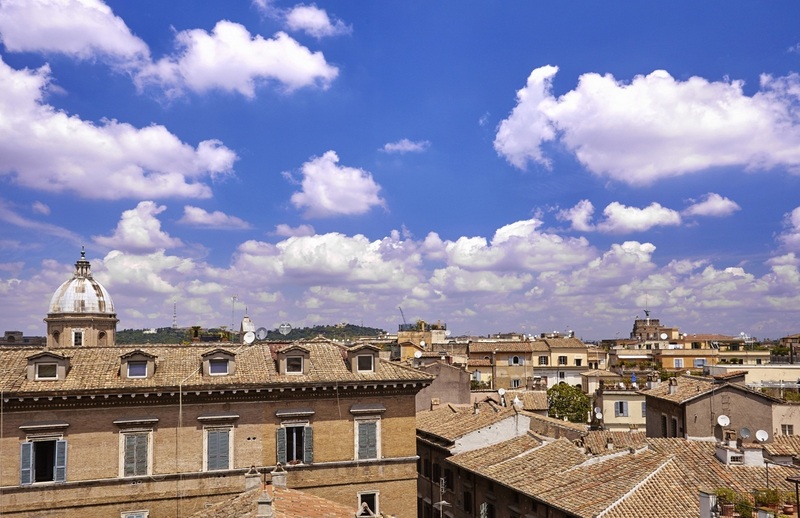 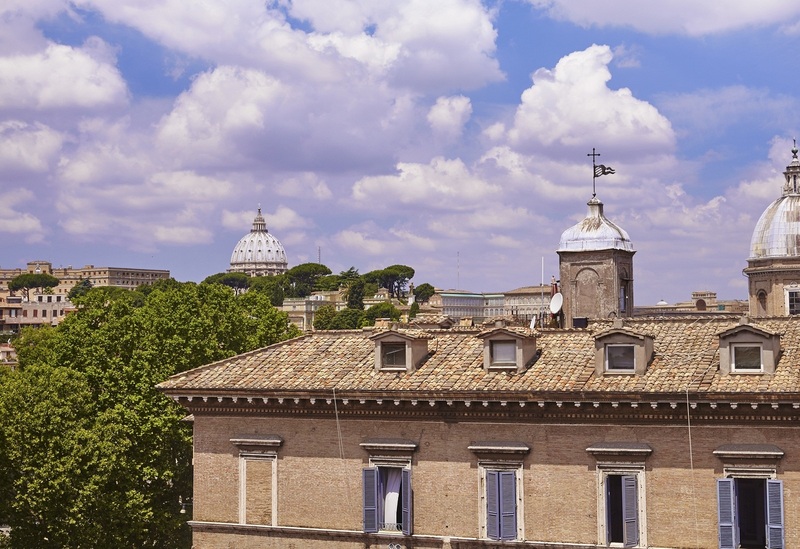 To have the opportunity to enjoy the view of Rome from the top certainly touches the emotions: the roofs, the terraces, the domes and the great monuments ring back to memory the past of the Caput Mundi. 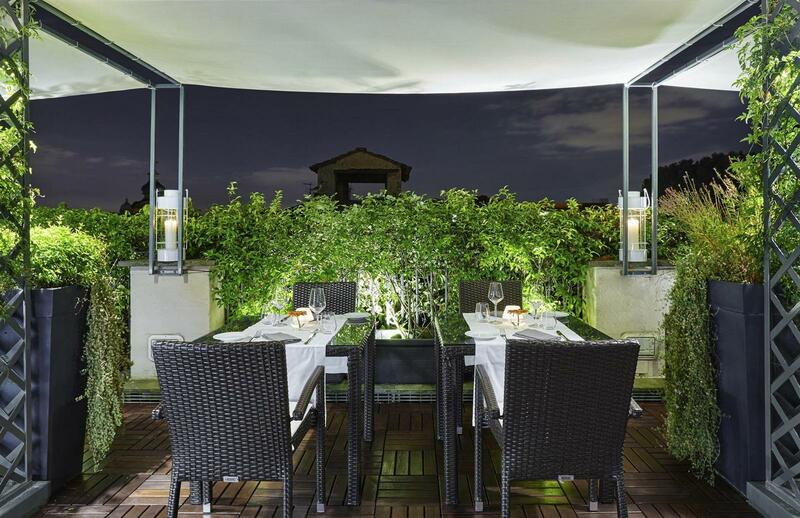 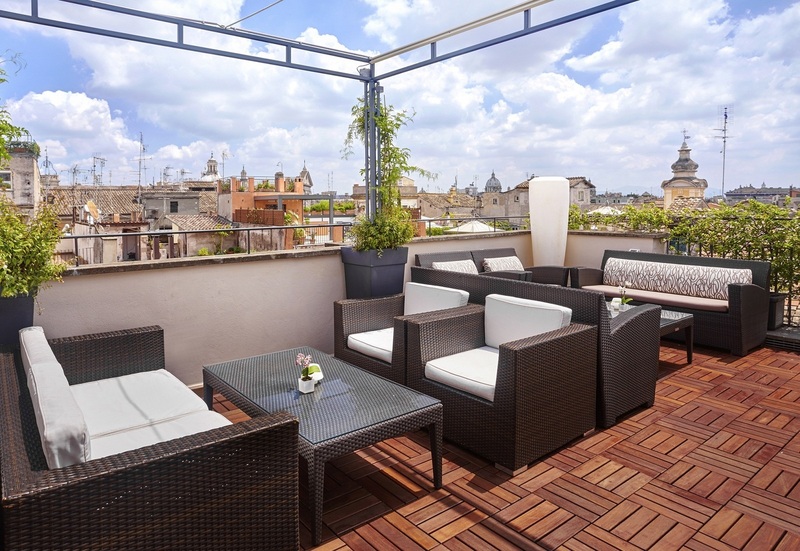 Located on the top floor of the hotel, the Roof Terrace is the ideal place to contemplate the sunset with a 360° view of Rome. 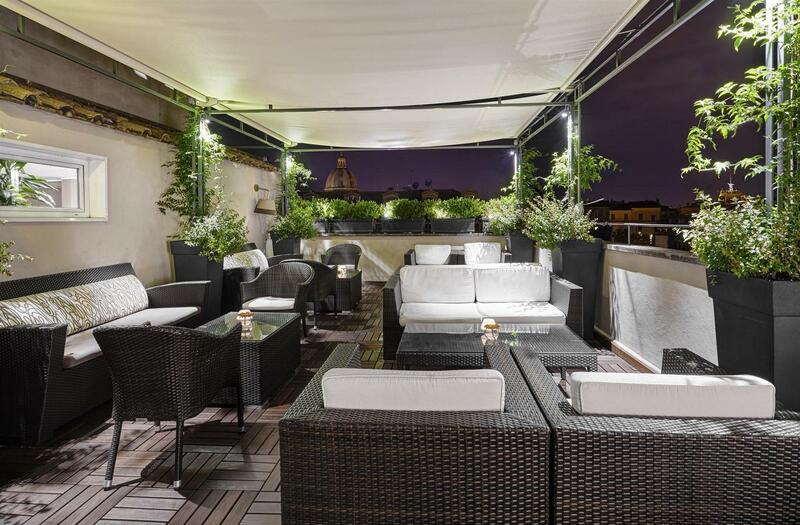 Whether it is a drink, a light lunch, a romantic dinner or an aperitif you won't be disappointed by this Great Beauty.